The suspect, armed with a parang, barged into their house last night. According to a report in NST Online, the man, armed with a parang, barged into their house at Kampung Sungai in Kedah's Yan District. The 49-year-old suspect then attacked the girl and the boy along with their mother, whom he found inside a room in the house. The room where the sister and her brother were attacked. Kedah CID Chief Senior Assistant Commissioner Mior Faridalathrash Wahid was quoted saying the suspect was arrested shortly after the incident. "The children, who were with their mother, in one of the rooms were slashed by the suspect. The suspect was then apprehended by others," SAC Mior added. SAC Mior said that the case was being investigated under Section 302 of the Penal Code for murder while police will apply for a remand order against the suspect. The bodies of the two children had been sent to Sultanah Bahiyah Hospital in Alor Setar for post mortem, according to Malay Mail, which cited a Bernama report. 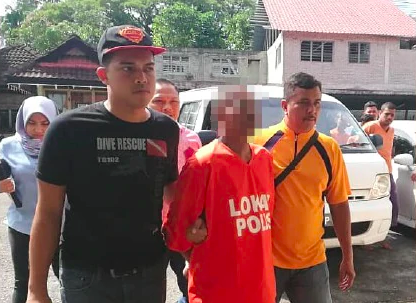 According to the kids' 60-year-old grandmother, Jamilah Ismail, the suspect first attacked her son-in-law, then proceeded to one of the rooms where four-year-old Nurul Hanim Idris and her younger brother Muhammad Hafis were sleeping with their mother. "He tried to swing his parang at my daughter but she managed to avoid. "My daughter was panicked that she left the room to look for help. But the suspect was cruel and went ahead to attack and killed my two grandchildren," the grandmother was quoted as saying by NST Online today, 9 January. "I am drenched in blood. I have murdered (the victims)." SAC Mior said police are looking into the possibility that there could have been a misunderstanding between the two prior to the incident, reported NST Online. "Maybe not yesterday (Tuesday) or the day before (the misunderstanding took place)... maybe even way before that. That is a possibility and we are looking into it. "We will call the children’s father to have his statement taken later. Right now, the family is in deep grief," he said, adding that while the suspect had five previous records for drug-related offences, urine test conducted after he was arrested came back negative for drugs, ruling out the possibility that he had acted under the influence of drugs. The incident happened at a supermarket in Bayan Lepas, Penang.